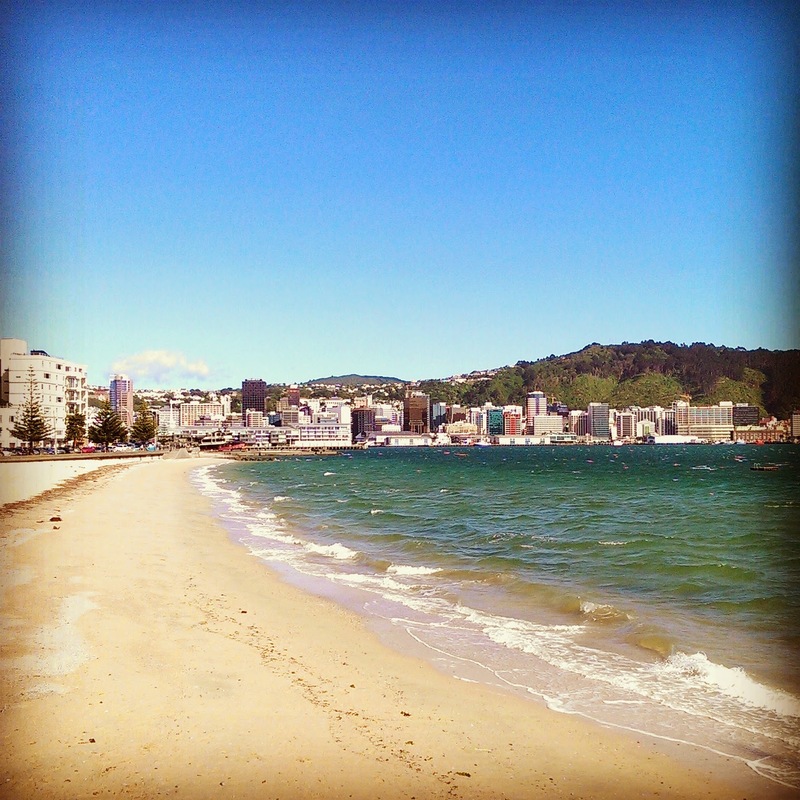 Wellington is the capital of New Zealand but it is the most chilled out capital i have been to! It is quirky and friendly with lots to offer. It feels more like a cool surburb of a city than a city itself. In this post i thought i would share some of the things i have been up to and what i think are the top ten things to do! It is free and amazing! A huge space full of interesting facts and unique exhibitions. 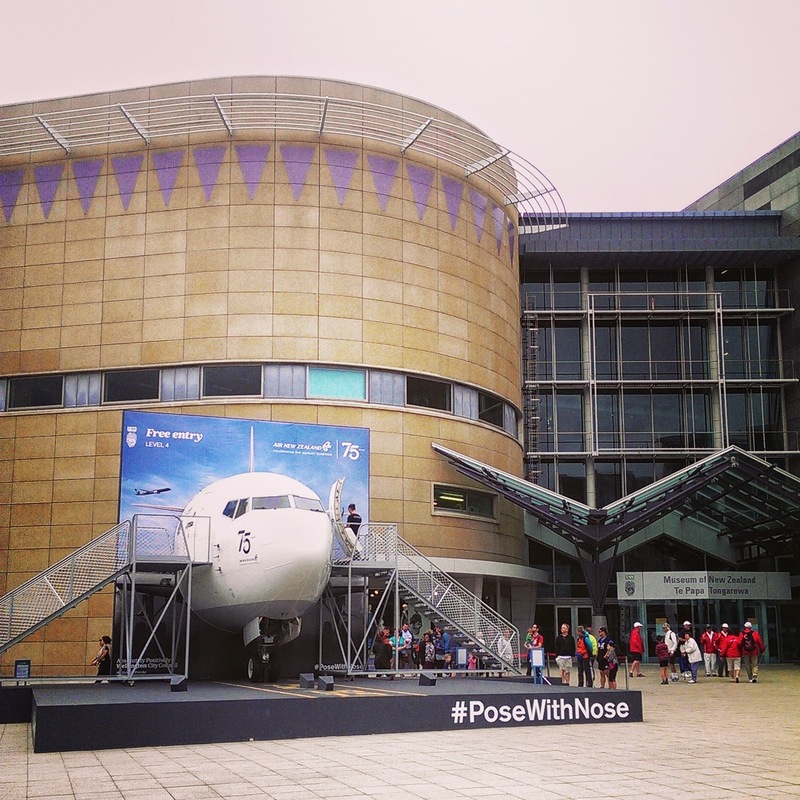 Along with the colossal squid in the middle of the first floor there was also an Air New Zealand Celebrating 75 years exhibition. I really enjoyed this and found it really interesting as they went through the years of the airline. With New Zealand being one of the most remote countries they have the longest flight times and so have always prided themselves on their long haul services. It even displays all the different uniforms through the decades and there was a 737 cockpit outside the museum that you could have a go in! Small but full of life! When i asked my (well traveled) host mother whether is was worth going to she sort of paused and said' by global standards it is basically non existent'! This made me laugh but i could see what she meant. It was in the smallest alleyway but had so much crammed in! Mainly food stalls, from churros to burritos, live music in the form of buskers and the odd craft stall selling homemade jewelry. I had a Spicy Moroccan chicken flat-bread and the best crepe ever with Belgian Chocolate and Caramel to finish off with! A great and sceneic walk up the hillside brings out at the Mt Vic look out. Fantastic views of the harbour and city. The cable car is famous, an icon of Wellington. If you have not been but have seen a photograph of Wellington it probably featured the Cable Car! Enjoyed by locals and visitors, it is a short and speedy ride up the hillside from the CBD to the suburb of Kelburn with three intermediate stops and conveniently terminates just by the Botanic Gardens and the Cable Car museum. In 2012 in celebrated 110 years of service. For the best shopping in the city head this way. High streets brands or individual boutiques, theres so many! With being so close the water it would be rude not to! I did a 90 minute sailing trip on the cruising catamaran Megisti. Lovely chap that owns it and provides a relaxing informal sail. Docked outside the Crabshack i saw the poster advertising the next sail. I couldn't go that afternoon so i just emailed them and asked when the next one was and it was the following weekend for a 'High Tea' sail. A 90 minute cruise with food and drink included was well worth it (even though windy Welly didn't live up to its name that day and we had to motor most of the way!). We saw a huge pod of Dolphins who swam alongside the boat for a while, i have never seen so many in one go. An early morning or early evening stroll along Oriental Parade is just lovely! We had a walk along here on my last evening and it was beautiful. So close to the city it is one of Wellingtons gems. Popped in here after my sailing trip! Wellington's social, cultural and maritime history all i one place. I thoroughly enjoyed it. A girl in my dorm asked me to join her so i went along. I have seen the films (LOTR and The Hobbit) but i had heard it was expensive so i had sort of written it off the to do list. It was only $24 which i thought was reasonable. I am glad it wasn't any more as i don't think it would have been worth it. They have made Weta Cave up the road from the actual Weta workshops (understandably) but i felt a bit duped with a short tour around a tiny workspace which they claim to be a 'working' workspace and you couldn't take photographs for that reason. They guy that showed us around was a technician and he did have some interesting things to say, about the films too. You do get to know some secrets behind the costumes, make up and props. Maybe a proper budding fan would enjoy it more. One Sunday myself and fellow Au Pair Valerie took a drive to the far end of Kapiti Coast and drove back towards Wellington stopping off at various points along the coast! It is an awesome coastline, very NZ! It was a glorious day and like many New Zealand coastlines, not very busy and very relaxing! Huge stretches of white sand, you cant beat it. Ahh all your NZ posts make me really miss it!